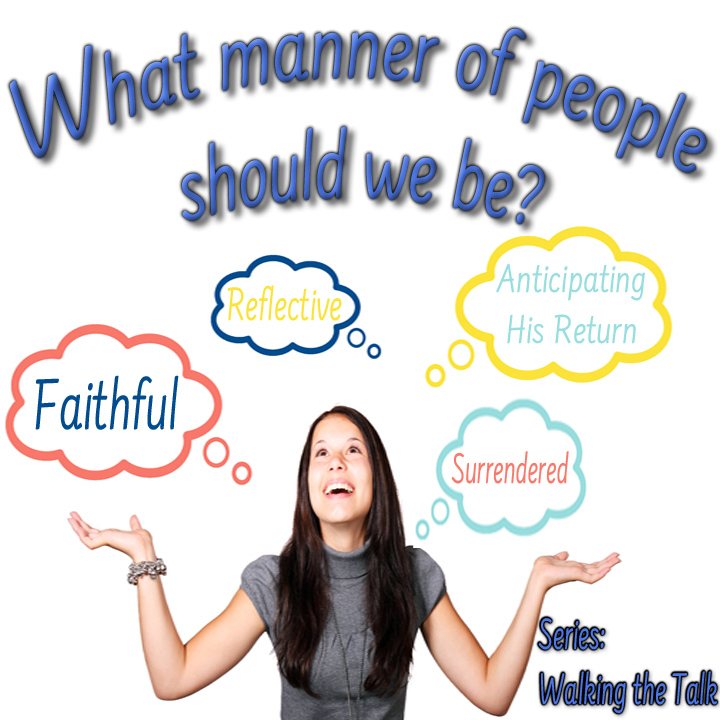 Message – What manner of persons should we be? The take aways did today is to examine yourselves in the light of these passages. Not being overly harsh nor too lenient, but allowing the Holy Spirit to do His inner work in you. Taking the words of God to shed light on our areas of darkness. Some commentators saw this parable should not be compared to the parable of the talents because in that parable each servant received a different amount and the results seem different. I’m not as convinced of that. A nobleman was a mature man who came from a good family and had a noteworthy rank in society. This nobleman, of course, represented Jesus while in the flesh Who was going to go away and then return with authority to reign. Though it is not clear by a straightforward reading in English, it appears that there were 10 minas all together and they were distributed to all of His servants. Since it does not say otherwise, it is logical to assume that Jesus intended us to understand that each servant received 1 mina each. “Business” means to be busy and occupied. It is derived from another word which means to GAIN by doing business which was clearly His intent. To what business could Jesus have been referring? Forming Christ without – be a living witness and share the gospel…be salt and light. In Matt. 25 where is like you to turn now, the parable of the talents is taught, as is the parable of the 10 virgins. BOTH began with the words “Then the kingdom of been will be likened to…” and this parable started the same way. After HE taught these two parables He immediately went into another teaching that seems to be a sort of explanation of the former two parables and I believe they shed light on what is meant in our passage of Luke 19 by “do business until I return”. Starting in verse 30 in Matt. 25.